Arena collection of team swimsuits for women is a seasonless line of athletic styles with proven performance. 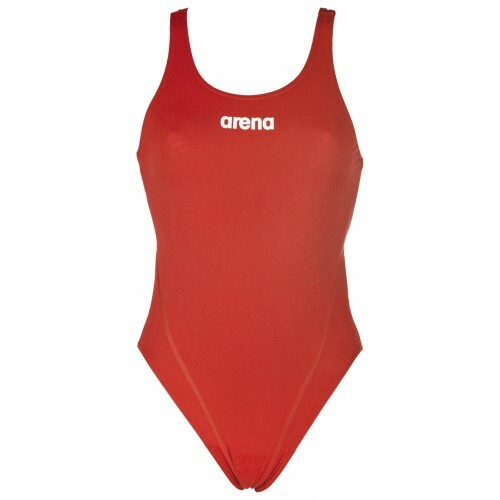 Arena upgraded this classic training one-piece with diagonal panelling for clever body contouring.Arena love the strong, active look of this solid colour suit with contrasting logo. Arena collection of team swimsuits for women is a seasonless line of athletic styles with proven performance. Arena upgraded this classic training one-piece with diagonal panelling for clever body contouring.Arena love the strong, active look of this solid colour suit with contrasting logo. Fabric Built to always fit like new, MaxLife is a technologically advanced fabric for intensive underwater training. Chlorine-resistant, quick-drying and smooth to the touch, our state-of-the-art textile is guaranteed to make an impact on your swimming. Design + Fit Keep your focus on your training in a no-budge swimsuit. We've fitted this women's one-piece with our Swim Tech open back, great supportive straps that free up shoulder blades and an attractive high-cut leg.